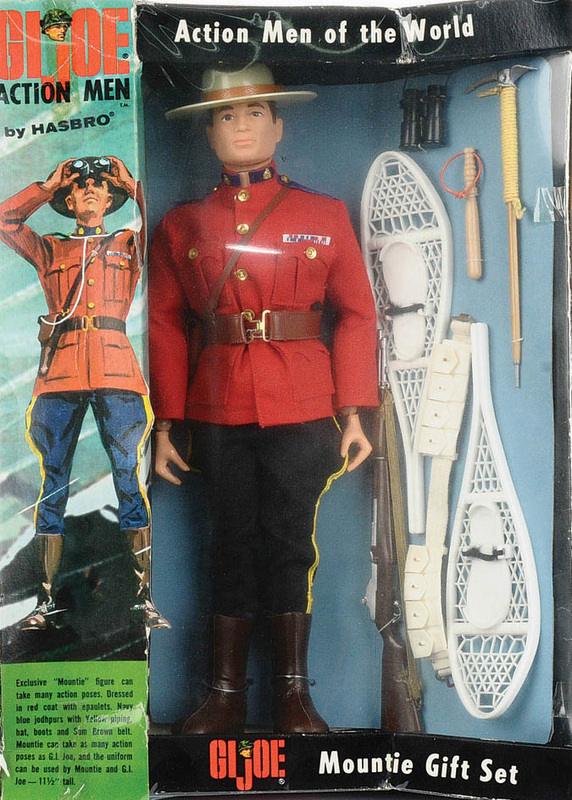 The Mountie was a Canadian exclusive; shown here is the gift set version (number unknown) available at Simpsons-Sears stores. 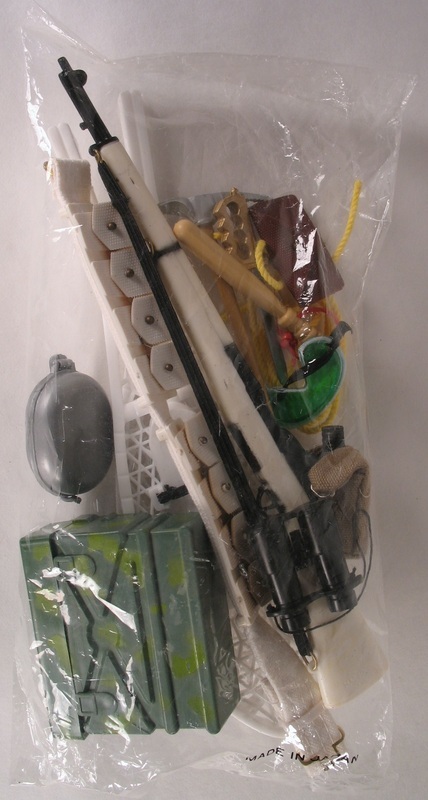 The set was also available as a window box (5904) like the Action Soldiers of the World. See one below. The jacket of this first version is tagged "Hasbro (R) Japan" with an embroidered tag, as opposed to the 1976 version that is tagged "Hasbro (R) Hong Kong" with a printed tag on polyester. The buttons of the first version are thin brass while the later has thick plastic ones. The Mountie came with brown jackboots, unique to this set, though some came with the standard tall brown lace-up boots, or possibly black jackboots. The gift set came with a brown medic pouch above which is very difficult to find. 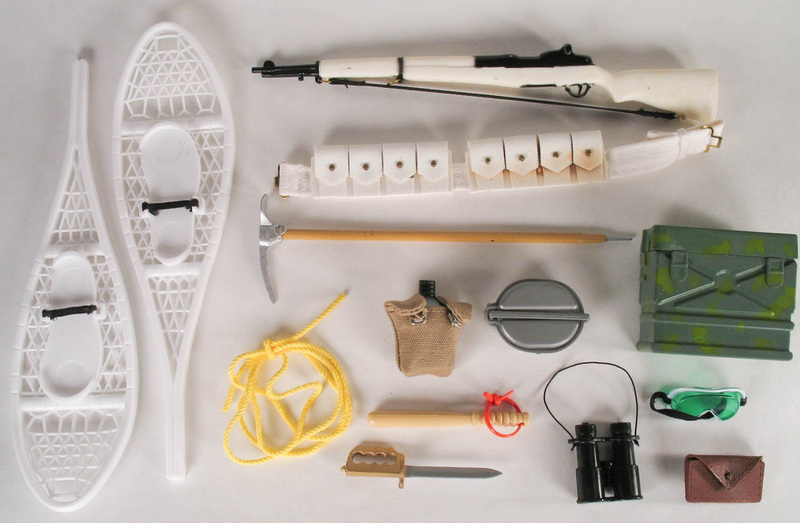 Contents of the accessory bag: snowshoes, morse code radio, white M1 rifle, white cartridge belt, alpenstock, climbing rope, mess kit, canteen & cover, billy club, combat knife, binoculars, goggles, and the rare brown medic pouch. 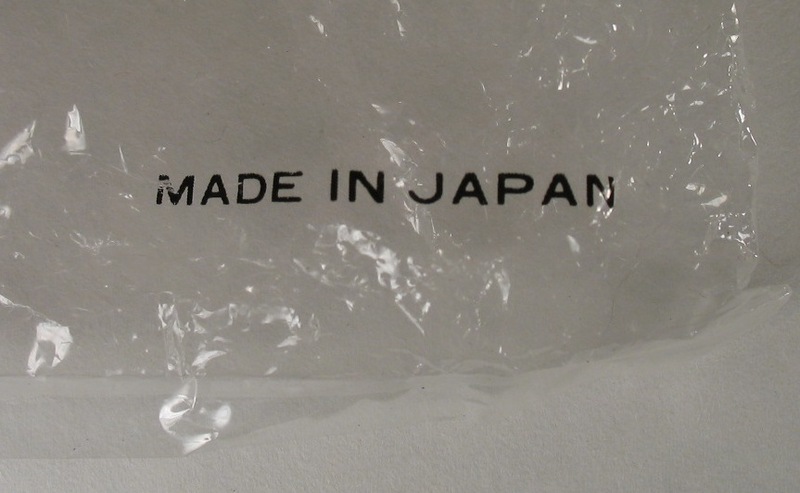 The baggie is marked "Made in Japan." The medic pouch, radio, mess kit and knife were not sold in the window box version, and the rifle with that set was brown. 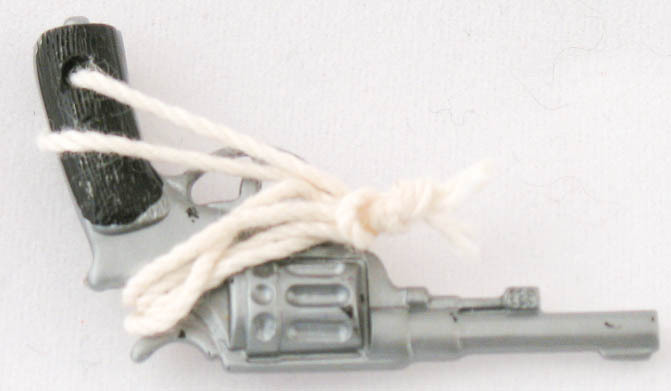 The Mountie's pistol is a standard black handled Lebel revolver (originally from the French Resistance set) with a hole in the grips for a string lanyard. 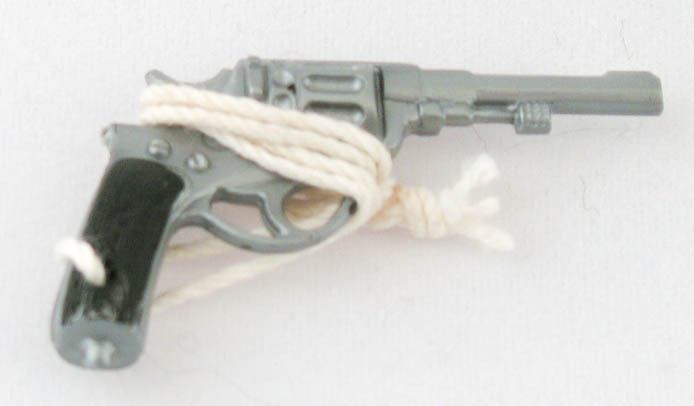 The one shown below has the lanyard still factory wrapped around the pistol's frame. Above, the advertisement for the Mountie Gift set in the 1967 Simpson's-Sears Christmas catalog.